Controlling the speed of your putts so that they get to the hole but don’t go too far past can have a significant effect on your putting overall. Most of the time, you want to make sure you get the ball to the hole to give it a chance of going in. 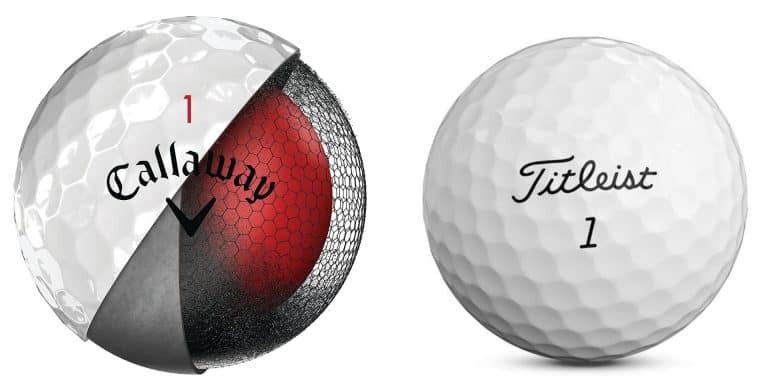 But if the ball is going too fast when it hits the hole, you have less chance of it falling in from the sides of the cup. There are a lot of theories out there about how far past the hole is an ideal distance to aim for. Some will even say that an ideal putting speed would have the ball movement die out just as it gets to the cup. But whatever school of thought you subscribe to, speed control is important. These 7 drills are some of the most effective I have found at helping to dial in putting speed control and they should help you too. You should also check out my Recommended Training Aids For Putting if you want some extra help on the green. If you spend any time looking for speed control putting drills then you have seen this one. There is a good reason it is so popular…it just works. The setup is simple. Choose a putt of at least 15-20 feet that is relatively straight. Uphill or downhill is ok though. The reason for this is to eliminate as many factors as possible from the drill (other than speed). That way your mind is 100% focused on speed control. Any good drill should break down to focusing on a single element of your swing in as much isolation as possible. That way you can see if you are making progress in that area. It also helps you get better at breaking down a putt on the course into its separate components to make it easier to read. Then begin lining up balls starting at about 3-5 feet and going back in a straight line as far as you want. Don’t go too far though because you want to be able to set this up repeatedly relatively quickly. Then start with the closest ball and try to make each putt going from the closest to the farthest. This one actually comes from Jordan Speith. He was doing this at a tournament and talked about it in an interview. The focus of this drill is to become comfortable hitting into that zone I talked about in the intro above where you are giving yourself the best opportunity to make the putt. So the first step is to decide where that zone is for you. If you are comfortable making 4 foot comeback putts then you can be more aggressive with your first putt. But if you hate those, then perhaps focus on a less aggressive strategy. So let’s say for purposes of this drill your ideal zone is 3 feet past the hole. You know you can make those 3 footers the vast majority of the time. Take an alignment stick and lay it down about 3 feet past the hole. Now that you have your safety zone set, the plan is simple. Try to get the ball past the hole but within the safety zone. Repeat this for a variety of putts including uphill, downhill, breaking putts, and flat putts. This is a great drill to quickly get comfortable with the speed of the greens before a round. If you have ever seen someone do a circle drill on the putting green then you’ve seen this. The difference here is that you want to purposely pick a hole (or just place a tee in the ground to simulate a hole) where there is a slope to the ground. An ideal spot would have a relatively consistent slope in one direction about 20 feet in diameter. Then you want to set up the balls around the hole at 3, 6, and 12 feet in four different directions. Do your best to have one straight uphill, one straight downhill, one left to right, and right to left. Getting comfortable with speed on side hill breaking putts is something that many golfers forget about. There is an art to adjusting the point where you want the forward momentum of the putt to die off and let it fall down the hill vs. trying to power it through the break. The overall speed of the greens themselves plays a large role in this. I wish there was a definite rule or tactic I could give you on this one but the truth is that you just have to get out there and get comfortable attempting those putts on a green that is as close to the on course greens as possible. The reason this drill is great for pre-round warm-up is that it does incorporate other aspects of putting such as alignment and green reading into the drill. So it breaks the rule above about isolating certain aspects of putting, but it can be great either before a round or to work on combining those elements. Just don’t ignore the other drills that do a better job at isolating speed. Putt to a flat piece of cardboard rather than a hole. The goal is to get the ball to stop on the cardboard. Alternatively, use tees to make a zone to stop the ball. This is a little similar to number 2 above, but the important difference is that it eliminates the hole from the equation. Doing this without a hole helps you focus solely on speed control. It doesn’t get more simple than this drill. You simply practice your putting while looking at the hole rather than the ball. So why does this help? Try this… Pick up the ball and toss it towards the hole. Chances are you got it to stop pretty close. Chances are you also were looking at the hole when you tossed it. You used your own senses and intuition to throw the ball pretty close to the hole without much more information than simply visually gauging the distance. Human senses are really cool like that. When you look down at the ball, your senses lose all connection to the hole and are now focused on the ball. So you are giving up all that great natural instinct built into your senses. Remember…the ball doesn’t move. If you have a repeatable, consistent stroke, then you probably should be able to hit the ball on the center of the putter face without staring at it. The benefit of this drill is that you are now taking all that natural instinct and feel and associating it with the motion that your body is using to make the putt. When you look back down at the ball, you will remember how that felt and be able to replicate it. Now, after practicing like that for a while, when you are on the course, take your practice swings while looking at the hole. Try to recreate the feeling you had on the practice green when you were actually hitting the ball looking at the hole. Then step into the putt (look at the ball this time) and repeat that feeling. You’ll start to learn how to engage your natural touch and feel for every putt. Jordan Speith even started playing competitive rounds on the PGA Tour like this. I wouldn’t recommend that right away, but you never know what might help. 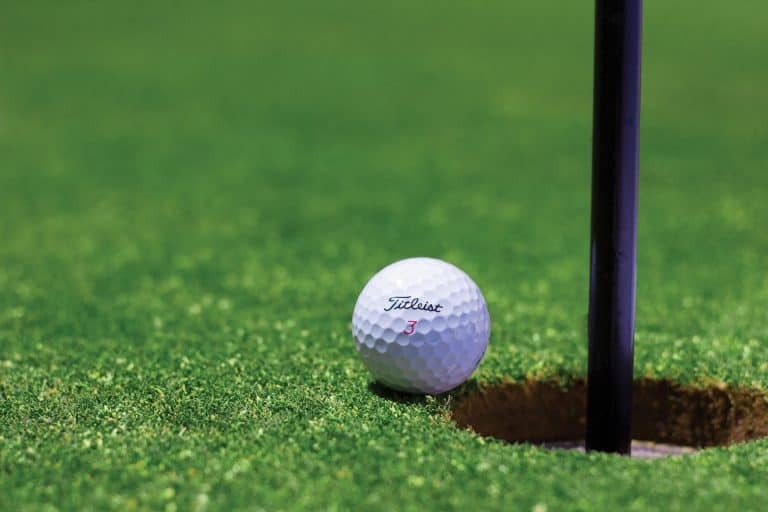 Putting is a lot like those backyard skill games that require touch and precision…except the putting green is far from the consistency of those games. So why not add elements of a game like Bocce to your putting practice. Bocce is fundamentally about being precise with the distance of the ball after all. You can play this game with a friend or by yourself. It works best if you’re alone on the practice green but if you are not, be considerate of those around you. Start off by tossing a golf ball anywhere on the green. Then attempt to putt a second ball as close to it as possible. If you are practicing with a friend and want to make it more interesting, follow the rules of Bocce where each person gets 4 attempts to get the closest to the tossed ball. In that case, it helps to have a different colored ball to used as the target and make sure you and your friend can tell yours apart (or there might be some arguments). This is another simple one. Start by putting a ball about 5-6 feet away. Then hit a second one from the same spot but try and hit it past the first one a predetermined distance (try 6, 12, or 18 inches). Keep repeating until you either fail to hit it in the new zone set by the previous ball OR you run out of golf balls. Maybe even try bringing 50 or more balls and see how high you can get. Speed on the greens, probably more than any other aspect of golf is very much about feel. So the drills above are designed to get you comfortable using your own feel. I think it is also important to add data and information to that feel. You should have a rough estimate of how far each putt is during a round so you can store that way in your memory and, hopefully, be able to recall that feeling when you have a similar putt later in the round. Like all things in golf, you can never master speed control in putting, but with focused and effective practice, you can improve.